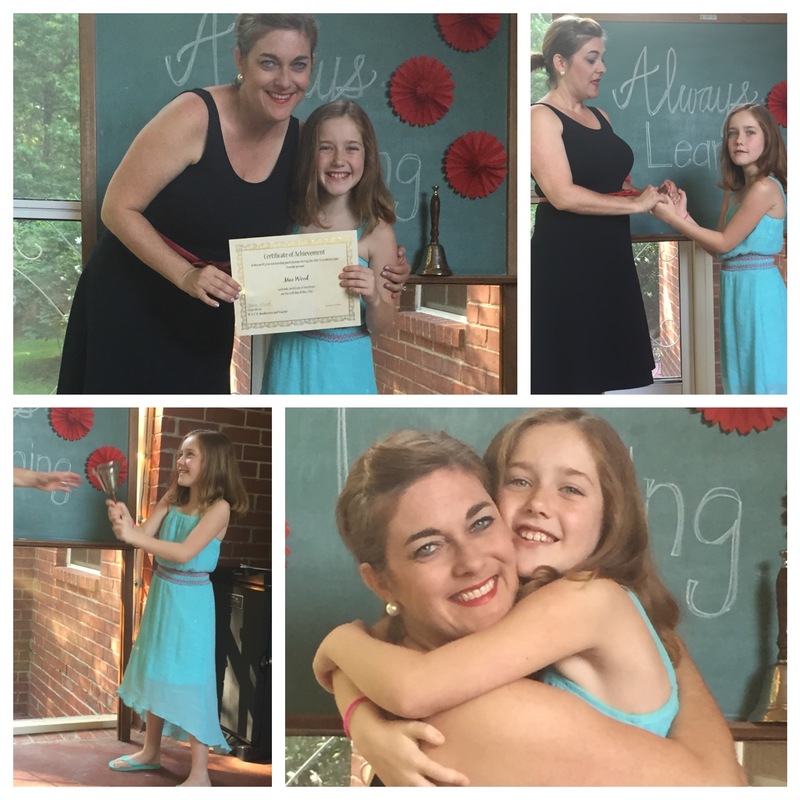 This weekend, we celebrated the close of our fourth year of homeschooling. Like most years, it was a crawl-to-the-finish kind of ending. Each school year brings its unique challenges and this year was no exception. We have been here in Georgia less than a year. And when we moved here, we picked a neighborhood in a school system that we thought and prayed seriously about putting our kids into. 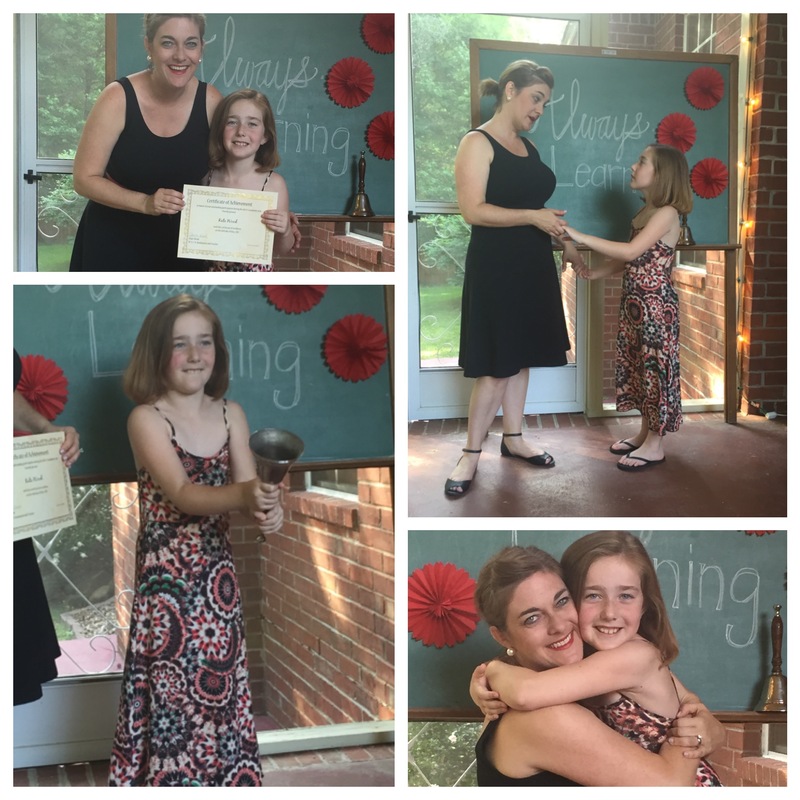 As the weeks got closer to the beginning of school, I just couldn’t shake the feeling that our time homeschooling wasn’t finished quite yet. I get a little carried away about about fun starts to school after all. Every year I pray in earnest that the Lord would give Ryan and me peace to just put the kids back into traditional school if that is His will for our family. Every year, He continues to guide us back to this choice. He doesn’t call us to this because homeschooling is superior or the best choice or the holy choice; He calls us to it because in our own unique family and situation it is the fitting choice. But each year for the past four, as Ryan and I discuss, pray and seek wisdom from the Lord about our parenting and family choices, there is a still, small voice that reminds me that in our current season of military life we are all exactly where the Lord wants us. Some days I feel confidently at peace with that calling. Other days I feel tired and overwhelmed and frustrated by that calling. Homeschooling is a big job after all and the tension of that draws me into fellowship with God. It’s a big job in terms of choosing curriculum, implementing lesson plans and evaluating three students at three different stages of their learning. It’s a big job in daily discipling these children to bear the fruit of the Spirit when there are many moments I don’t feel like bearing that fruit myself. Love, joy, peace, long-suffering, gentleness, goodness, faith, meekness and temperance? Are our days all made up of these? Hardly. This year, like all of the others, was spent living out our faith toward one another, toward our friends and classmates at our activities, and walking in the grace that each new day promises. This year was spent trying to find our fit in our new community. New church groups, new co-ops, new sports and extra-curricular activities, PE classes, field trips, homeschool groups, playdates and LEGO camps have all kept us busy. Our kids have continued to show their resiliency at being the new kids in town again. They seem to jump right in wherever we are. They make friends, interact easily with their other teachers and coaches and work extremely hard on their lessons at home. We have seen some great places, studied some wonderful themes in science, art and history. We have spent countless hours discussing the lyrics to hymns, read so many wonderful books, studied language(s), written compositions, broadened our vocabularies and developed some great personal habits. We’ve enjoyed projects, experiments, keeping our nature notebook, growing a garden, and mapping out the Civil War battles. We have geocached, been to the beach, the local nature center and news station, partied at Great Wolf Lodge (twice), heard Dad speak at his seminary, and visited our families for a week at Easter. We’ve visited plantations, the South Carolina state capital building, we have seen multiple collegiate sporting events at UGA, and played in the creek until our boots were soaked! We have finished end of the year fine arts performances, played some golf and taken our standardized tests. As we prepare for the fall, we have some changes we are making with the weekly rhythm. I’m very excited about new challenges and adventures. I’m very excited about a new opportunity. I’m thrilled about the new approach; more input from other teachers while still being at the helm of our own ship and maintaining much flexibility. Next year Ryan and I will have a second, fourth and sixth grader! It’s hard to wrap my head around the idea that our kids are growing up at lightning speed. A sixth grader? Middle school? Youth group? What! As our children continue to grow and mature, I continue to feel privileged to be their mother and their teacher. We are always learning! I pray that more than any math concept or language rule, my kids would remember a childhood full of opportunities for adventure, the fun of learning and the strong confidence of a secure faith. Happy summer to all of the students and teachers however that may look in your world! 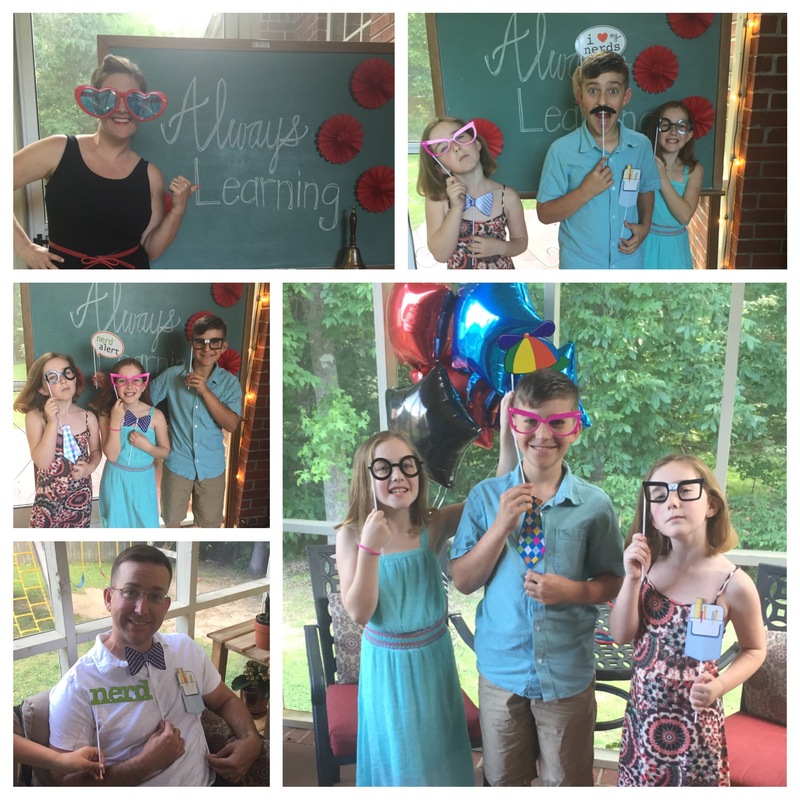 It’s so much fun to see the experiences your kids are gaining in education that is far superior to anything they would have in a traditional school! You are doing an incredible job….as hard as it is sometimes, those children will look back on their years of learning at home as something to be treasured! Love you!! I appreciate that encouragement Kathy. Love you too!